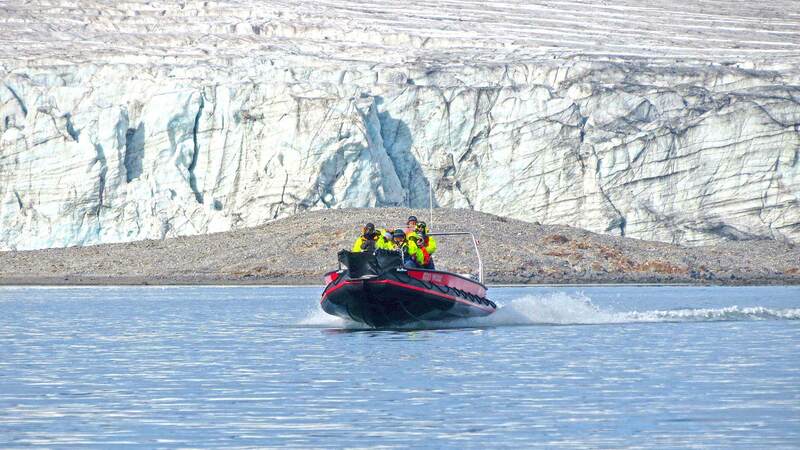 From close-up encounters with glaciers to a fascinating variety of wildlife, this is a voyage of non-stop highlights! Climb aboard the M/S Expedition for an unforgettable cruise around Svalbard, where it’s not uncommon to see reindeer, seals, an abundant birdlife, or even polar bears. Led by a team of experts, this expedition gives you a unique insight into the history, culture, and nature of one of the world´s most remote lands with educational sessions and exciting land activities. Spend the next two nights at Basecamp Trappers Hotel in Longyearbyen. Located in the Advent Fjord at the entrance of the Advent Valley, Longyearbyen is one of the world’s northernmost towns as well as Svalbard’s largest settlement with around 2,000 inhabitants, mostly Norwegians and some Russians. After a hearty breakfast at the hotel, the day is yours to explore more of your unique surroundings. Enjoy a stroll around Longyearbyen, visit the Svalbard Gallery, do some shopping, or join in one of the many optional day tours and activities. Spend another night in Longyearbyen. In the morning, relax in Longyearbyen or join an optional guided tour. Later, meet with your group at 14:00 and board the cruise ship, the M/S Expedition, at 16:00. After departing from Longyearbyen harbour, you have some time to settle in before your introduction to the expedition guides and a gourmet welcome dinner in the ship’s restaurant. Spend the next seven nights on board the ship. The cruise does not follow a set itinerary for the next few days, Days 4 to 9. Instead, in true expedition style, the crew will determine the routes and activities that offer the very best experiences that conditions allow each day. Distances are relatively short in the Archipelago and as there are no ocean crossings the seas are normally calm, allowing for some interesting shore excursions and other activities under the guidance of the expedition leaders. Enjoy more activities today as determined by the expert crew. Sailing past fjords with breathtaking scenery and glaciers flowing into the sea, the cruise will also make some shore stops, giving you an opportunity to observe and photograph the Arctic flora and fauna up close. Your expedition leaders will also provide information about the vegetation’s adaptations to what is considered a harsh environment. Enjoy more activities today as determined by the expert crew. At one or more of the stops over the next few days you may see Svalbard's unique subspecies of reindeer or some Arctic foxes. 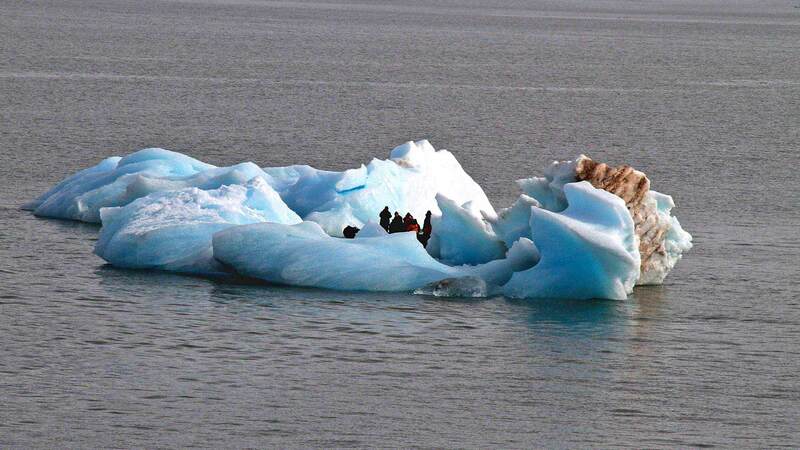 During the Zodiac excursions along the icy edges, it may also be possible to view seals or walruses. 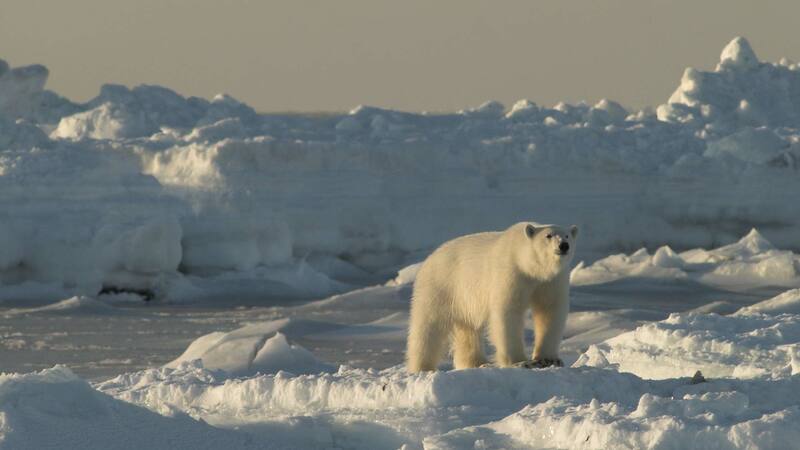 And seeing as this is the land of the polar bear, your expedition staff will carry rifles and flare guns on shore for your protection in case some of these amazing creatures make an appearance. Enjoy more activities today as determined by the expert crew. Bird lovers will be in for some treats during this voyage. 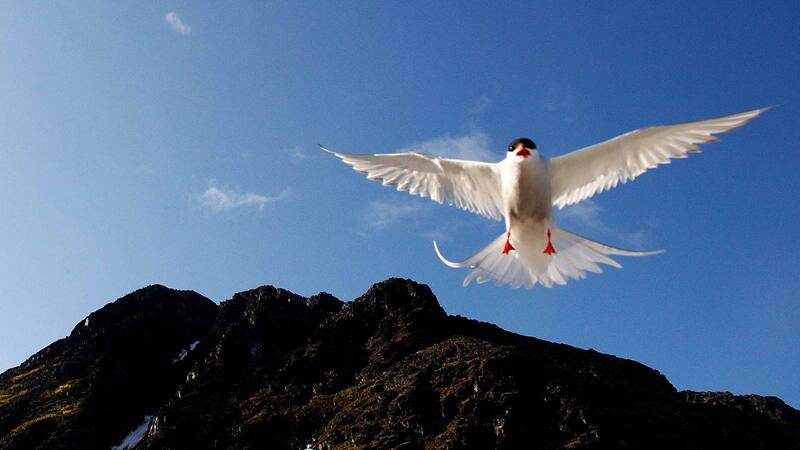 Ivory gulls will be a highlight and, ice permitting, the ship will approach spectacular bird cliffs filled with thousands of murres (guillemots) as well as kittiwakes and glaucous gulls. A little auk colony may also be on the agenda. Enjoy more activities today as determined by the expert crew. Svalbard is a land rich in history, including whaling, trapping, coal mining, war and expeditions to reach the North Pole. 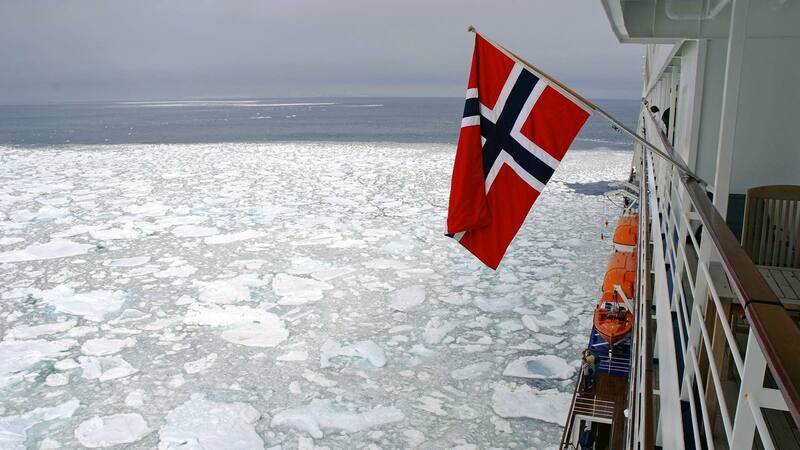 Weather and ice permitting, the cruise will include stops to some historic sites, where you can also learn about the various cultural influences in Svalbard over the ages. Enjoy more activities today as determined by the expert crew. Svalbard is one of the few places on the planet that offers such a wealth and diversity of wildlife, landscapes and historic and cultural sites. By late evening, the expedition ship will be anchored off Longyearbyen. Arrive back to the harbour at Longyearbyen and disembark in the morning. Before heading to Longyear Airport in the afternoon for you departure flight, enjoy some free time in Longyearbyen with a stroll around town or some last minute souvenir shopping. Very professional. All details are planned very well. The selection of the hotels are perfect as we have dreamed. On a cruise: Shared room with full ensuite washroom and porthole window on board M/S Expedition. In Budget you will be paired in t..
All rooms are of standard category and come with private shower or bath and WC / On a cruise: Room with full ensuite washroom and ..
On a cruise: Room with full ensuite washroom and large window on board M/S Expedition, you will be paired in twin-shared cabins wi..
On a cruise: Room with Queen bed, lounge area, upgraded full ensuite washroom, seveeral large windows and fridge on board M/S Expe..
Our travel consultants can assist you with booking a flight to Svalbard; contact us for details. This tour is subject to limited availability—we suggest booking well in advance. Experiencing the Arctic doesn’t mean you have to sacrifice comfort. Even though the 105-metre long MS Expedition was constructed with polar exploration in mind, guests can expect delightful amenities such as an exercise room, sauna, sun deck, dining room, pub and more. The ship also boasts comfortable accommodation in twin/triple-shared cabins and suites, all with ensuite bathrooms and ocean-view portholes or windows. Enjoy casual dining with a variety of gourmet international cuisines prepared by professional chefs. Special dietary requirements can be accommodated with advance notice and vegetarians will find plenty of options. All meals are included in the price along with coffee, tea and water. All other beverages, alcoholic or non-alcoholic, can be purchased separately in the dining room, pub or lounge. If you want to book your private cabin, please contact us for details. 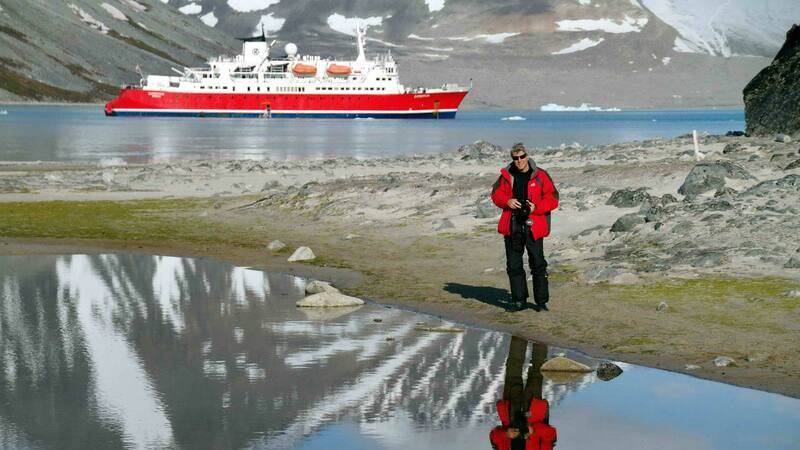 Due to the nature of an expedition cruise in the Arctic region, travel can be unpredictable. Therefore, the crew of the M/S Expedition keeps the itinerary flexible to make any necessary or desirable changes to the routes and activities depending on local ice and weather conditions. Thus, any travel times listed are approximations only and are subject to local circumstances. Furthermore, any mention of specific destinations or wildlife is by no means a guarantee that they will be visited or encountered. All voyages are led by a team of carefully-selected and experienced professionals, including naturalists and other experts who provide information about each destination with stimulating lectures, day-to-day briefings, and informal discussions. All aspects of the voyage are covered, including ornithology, marine biology, geography, geology, history, the environment, and practical things like photography. This allows guests to sharpen their observation skills and get the most out of each destination.